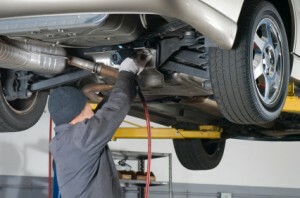 At Wallace’s Garage we will provide you with auto servicing to ensure the reliability of your vehicle. We also offer a full range of servicing for light commercial vehicles and jeeps. Having your vehicle serviced regularly ensures your vehicle will perform to its peak and provide safe reliable motoring. We have a modern, fully equipped workshop, staffed by expert trained technicians that will maintain your vehicle to the highest possible standards. We have built our reputation through you our customers and through the after sales service we provide. Our professional service technicians will ensure that your vehicle is maintained and serviced in line with manufacturers specifications providing you with reliable and safe motoring.